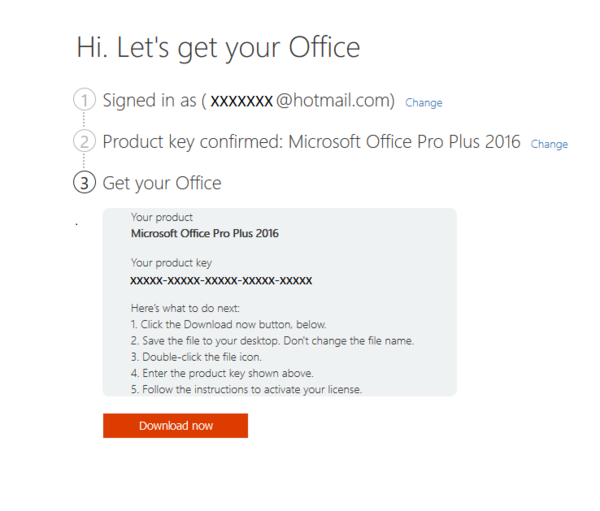 Step 1: First of all, You need to have a Microsoft Account to begin installing Office 2016! The Microsoft account is the combination of an email address and password you use to sign in to services like Outlook.com, Hotmail.com, OneDrive, etc. If you already have a Microsoft account. 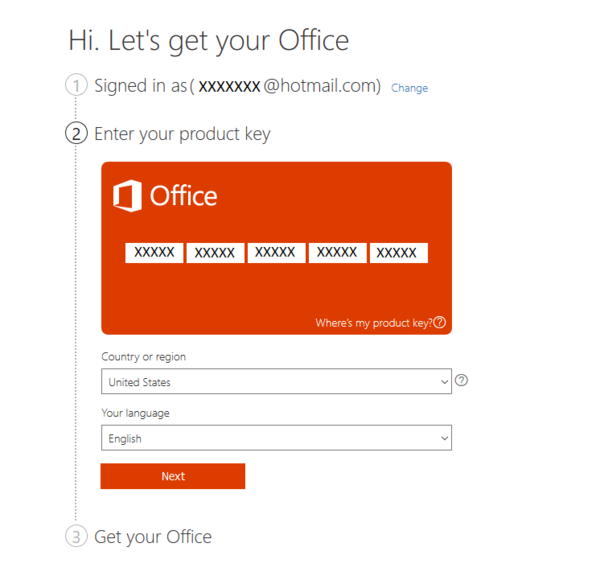 Go to https://setup.office.com/ and follow the prompts to sign in (or create a new Microsoft account). 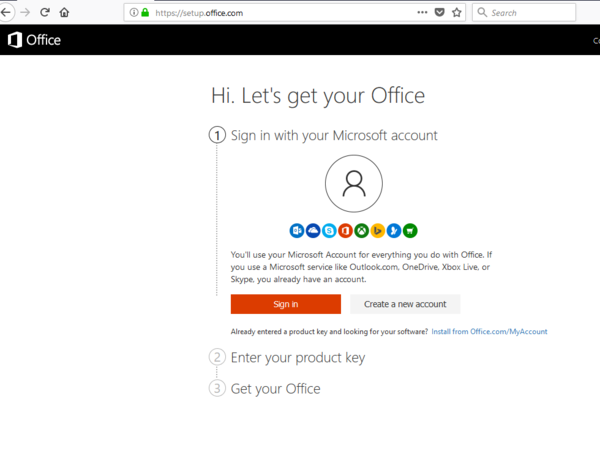 Step 2: Let's say you've successfully logged into your Office account at https://www.office.com/myaccount. Enter your product key into blank spaces provided and follow the rest of the prompts to choose your preferred language & country to redeem your product. Step 3: Install Office 2016. You have the choice to install the 32-bit or 64-bit version of Office 2016. If you're not sure which version is right for you, see Choose between the 32-bit or 64-bit version of Office. Click 'Download Now', click to save file will begin downloading. Step 4: Run the installer and follow instructions to install office 2016. If you see the User Account Control prompt that says, Do you want to allow this app to make changes to your device? Click Yes. Your install is finished when you see the phrase, "You're all set! Office is installed now" and an animation plays to show you where to find Office applications on your computer. 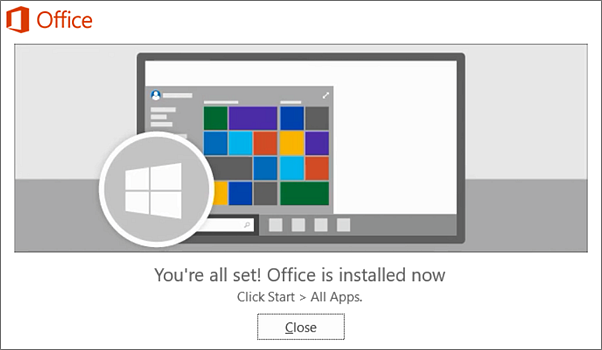 Step 5: Cheers, your Office 2016 is completely installed and successfully activated now!